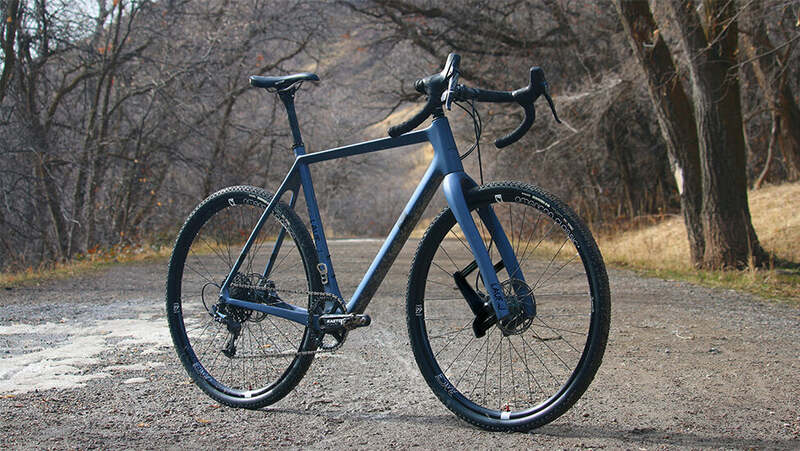 The Lauf Grit fork is an excellent addition to any gravel bike or cyclocross bike where additional control, grip, and comfort are necessary. With the advent of the gravel bike, tires on bikes are getting wider and wider to accommodate adventure. More often, riders are learning that a bigger tire not only provides better grip but it also helps curtail road vibrations that can cut a ride short. At a certain point, those looking for more of those positive traits must look elsewhere for addition confidence and comfort. The answer? 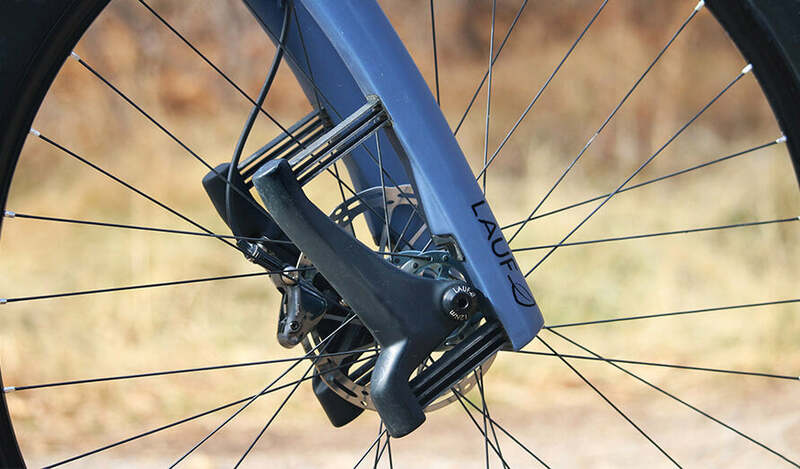 The Lauf Grit Fork, which uses a composite leaf spring system to provide an efficient suspension alternative for gravel bikes and cyclocross bikes. The Lauf Grit Fork is based around the Lauf Spring System (LSS), tuned for 30mm of travel (after 6mm of sag from the rider). LSS is a series of twelve undamped composite leaf springs bonded between a carbon fiber fork and 12mm or 15mm thru-axle dropout they call the Springer. Each stack of leaf springs—called a Springstack—is bonded into the fork and Springer through an Integrated Spring Pocket. All in, this technology-packed fork comes in at a lithe 900 grams. While this is about a half pound to one pound heavier than a high-quality carbon disc fork, it is considerably less weight than a typical suspension fork. Why use a Lauf Grit fork? It works really well on smaller bumps and washboard, filtering out the vibration very noticeably compared with a rigid fork. There’s less vibration through the handlebar, thanks to the progressive suspension that firms up through the suspension travel. The fork is confidence inspiring over high-speeds; where a rigid fork leaves the front wheel feeling skittish, the front tire maintains much better contact with the road surface. Despite all of this, there’s also virtually no pedal bob, unlike a traditional suspension fork. There’s no brake dive, and climbing out of the saddle it feels much more natural than the competition’s non-suspension alternatives. Most importantly, there are no moving parts and zero maintenance. The fork design has been rigorously tested by Lauf to provide years and years of trouble-free riding. The Grit fork is an excellent addition to any gravel bike or cyclocross bike where additional control, grip, and comfort are necessary. This fork is largely plug-and-play, with minimal changes in geometry when swapped onto most gravel or cyclocross bikes. The Lauf Grit fork is available in a myriad of colorways. It comes in Naked Matte, or Custom Thunder Yellow Pantone 108, Custom Silver Metallic Pantone 877, Custom Bright Orange Pantone 021, and Custom Naked Glossy colorways. Please note that these custom colors may require an additional 4-6 weeks to ship. It requires a 160mm minimum brake rotor, works for tires up to 700 x 42c or 27.5 x 2.1, and is available in both 12mm and 15mm thru axle options. 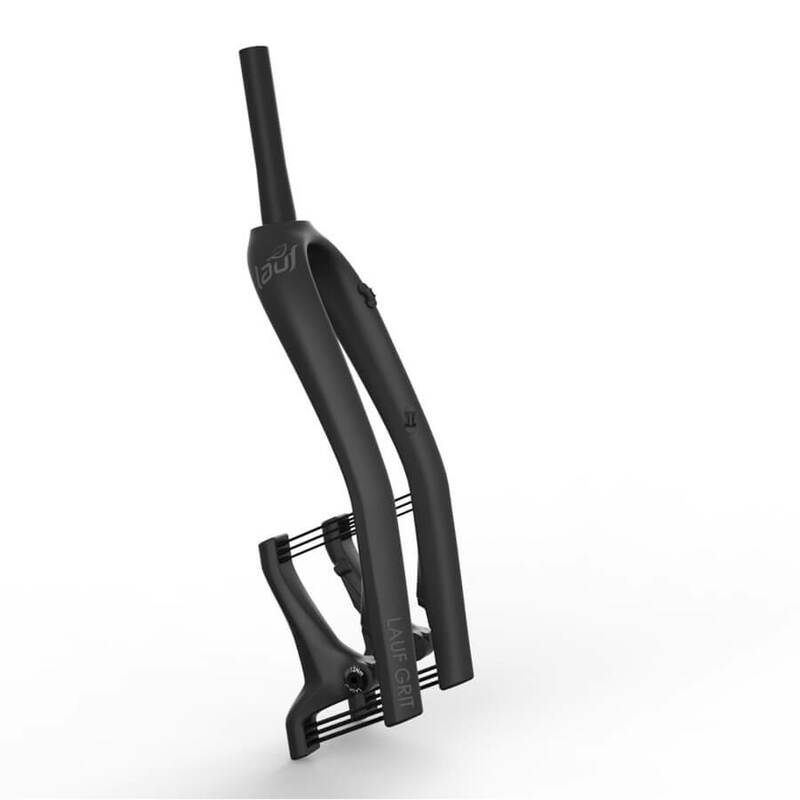 Have any other questions about the Lauf Grit Fork? Give us a call during shop hours, or contact us any time by email at info@contenderbicycles.com.